Model aircraft for bonding. Size: 1:32; 28.4 cm. The package contains: 182 pieces for gluing. 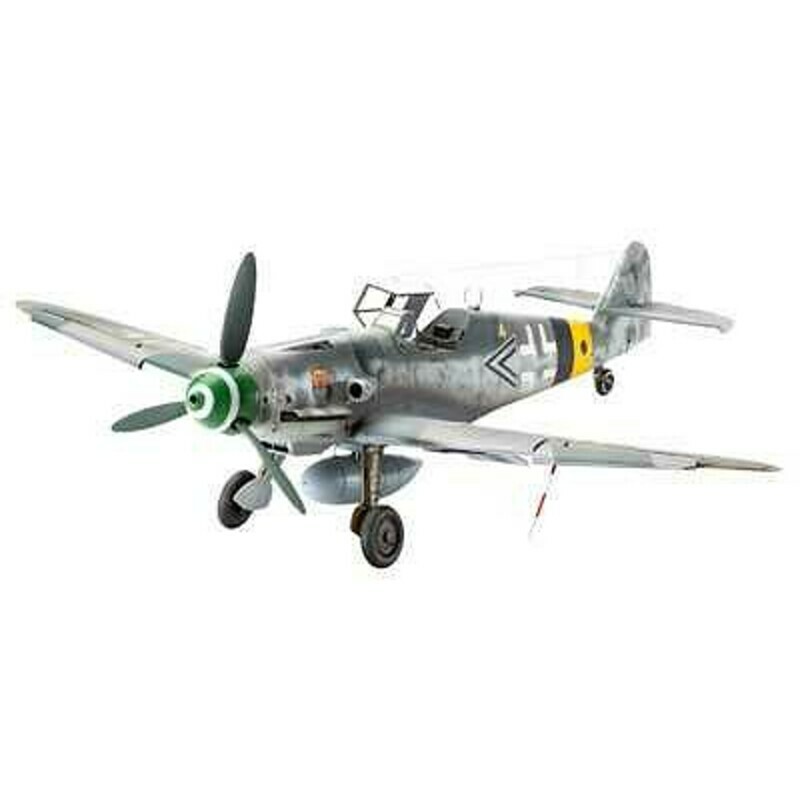 The Bf109 is one of the most famous fighter aircraft of the German Luftwaffe used in the Second World War. In many different versions he produced over 33,000 pieces. The two strengths of this aircraft were its climbing capability and acceleration in diving. In the summer of 1942, the production of the Bf109G series was commenced, with a noticeable change over the previous version of the Bf109F. The G-5 / G-6 had a MK 151/20 mm "cannon" engine with a spout right in the center of the propeller. Two MG 131 machine guns were installed above the engine. Due to the improved armor belts, aerodynamic modifications of the engine bonnet had to be made, giving the aircraft its typical "boule." The G-6 was widely used on all fronts from March 1943 until end of war. In the later production series Bf109 G-6, a fixed one-piece window was added at the rear of the cabin, which significantly improved rearward visibility. In the course of further adjustments, the tailgate was changed, which was higher and had a larger area than previous versions. With 13,000 machines, the G-6 was the most-produced Bf109.